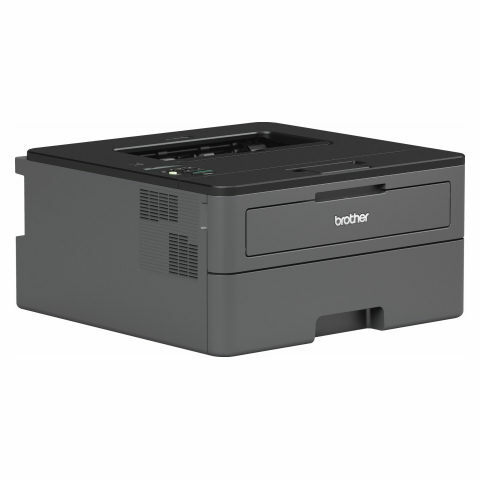 The HLL2375DW offers you a fast, reliable and cost-effective printer. It's perfect for home printing or simple operations, and ensures quality prints on every page. Featuring print speeds of up to 34ppm, automatic 2-sided (duplex) printing, up to 3,000 page optional high-yield toner and a 250-sheet paper input, it has all the essentials you need to get the job done. Print quietly without comprising on speed or quality, operating at the lowest decibel in class (under 50dB). All the models throughout the range are designed to sit on your desk, printing quietly at full speed while you work without interruption. And, with built-in wired and wireless connectivity, this printer can turn your home office into a home business, effortlessly merging your digital and print life.